Now that the holiday season (and football season) are in full swing, many folks are looking for bite-sized snacks, appetizers and treats to serve large groups of guests. It’s probably one of the most frequent questions I get on here this time of year. Folks want easy but yummy finger foods. You may need a snack to take to your daughter or son’s scout party. Or maybe you have a celebration at work and you gotta bring something to munch on. Or maybe you have a bunch of friends coming over to hang out and watch football. Or perhaps you just need to give those ravenous folks you call family something to snack on while waiting on Thanksgiving or Christmas dinner to be served. 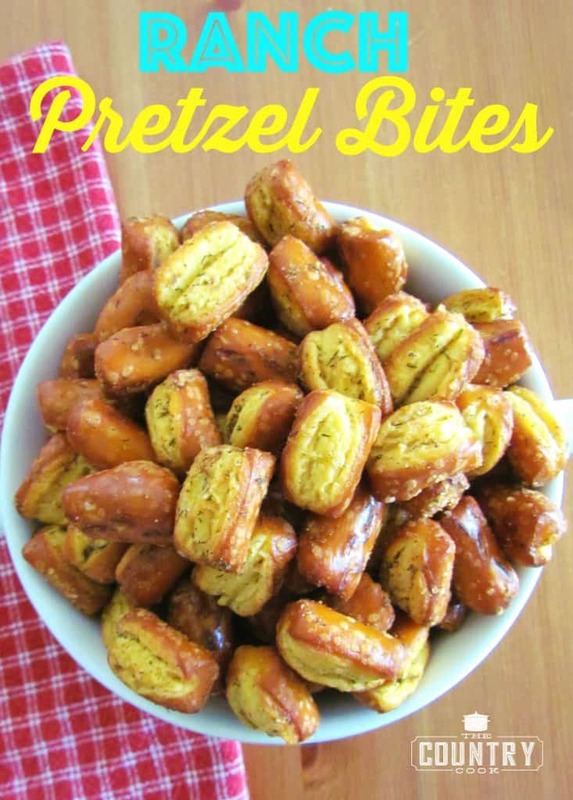 Whatever your reason, these little pretzel bites fit the bill. They are easy, bite-size and packed full of flavor. 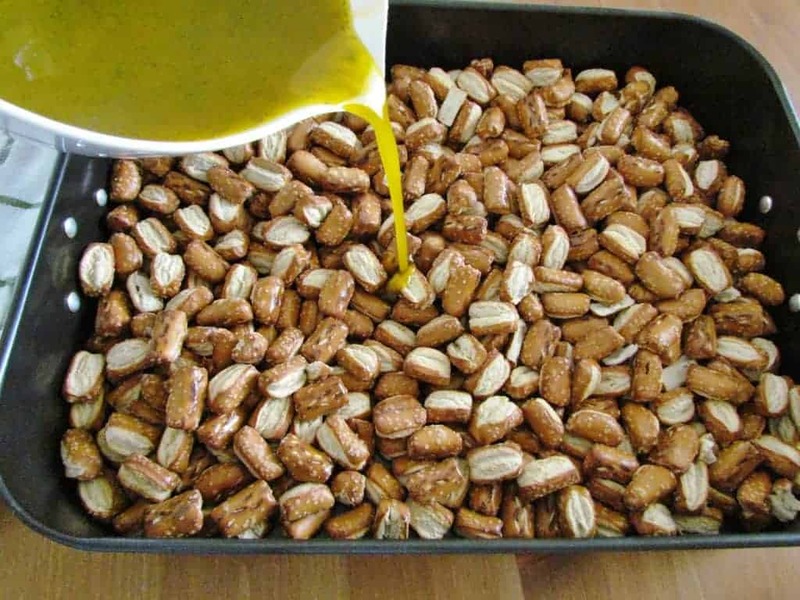 And you can make these a few days ahead of time (just store in an airtight container or Ziplock bags.) So you look like a super-star hostess with the mostest and you didn’t even break a sweat. Preheat oven to 250F degrees. 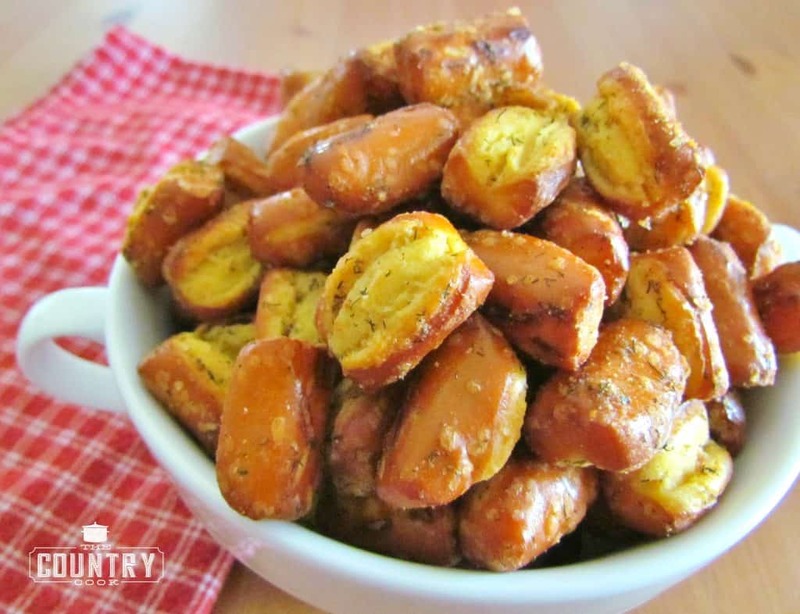 Place pretzels in a large roasting pan. 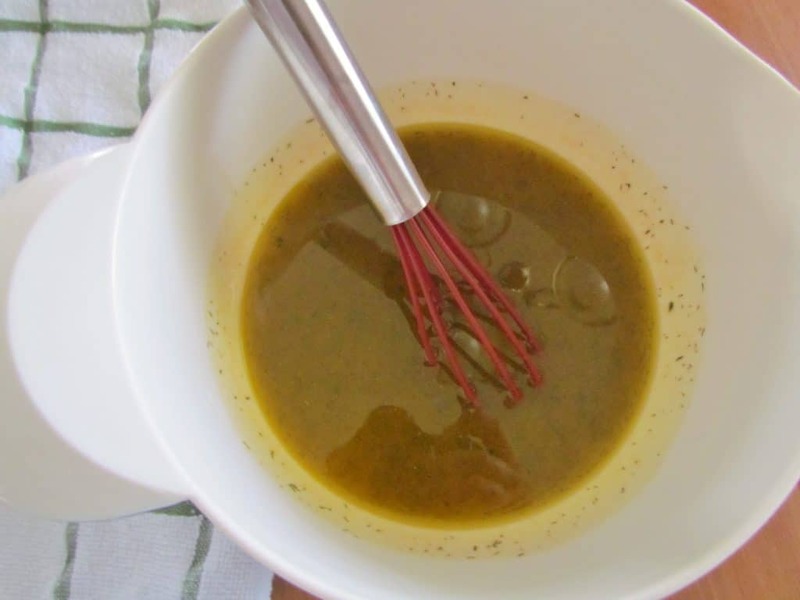 In a bowl, whisk together the remaining ingredients. And stir really well. Make sure all your pretzels get thoroughly coated. Bake pretzels for an hour, making sure to stir every 20 minutes. 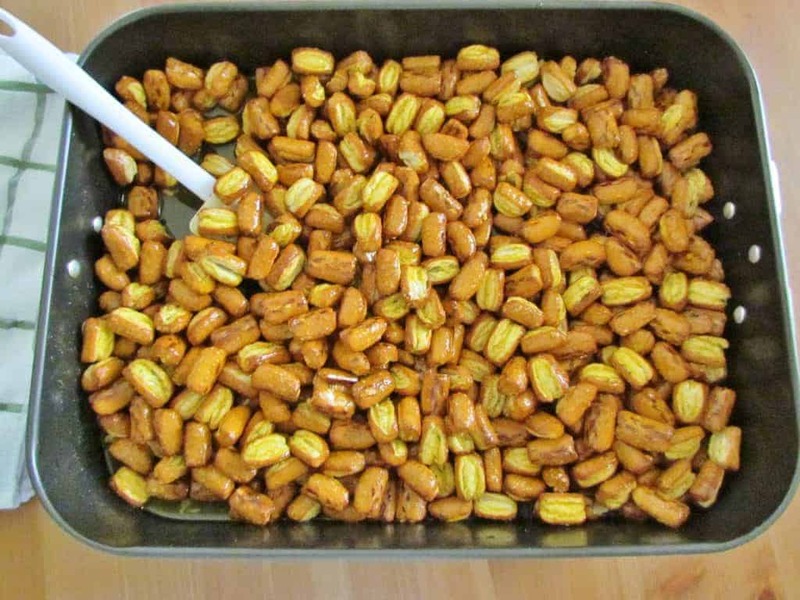 Once finished, allow them to cool and then store in an airtight container or a couple of big Ziploc bags. 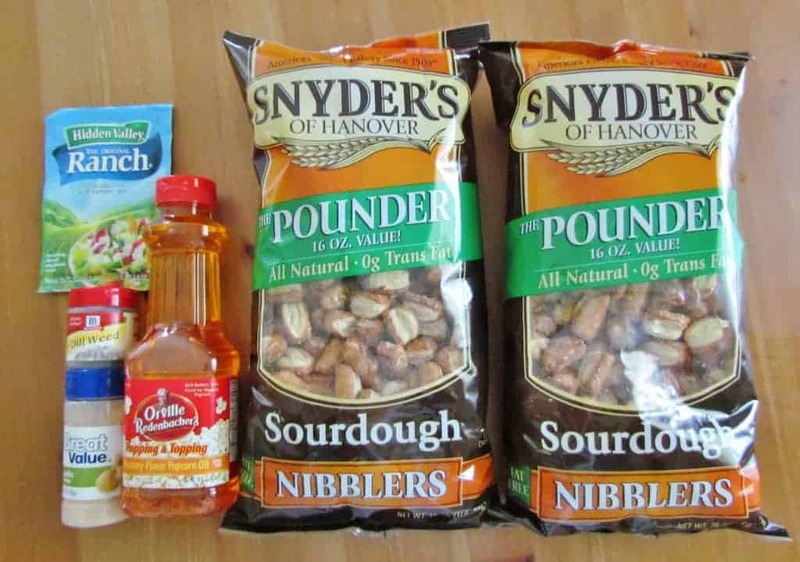 Cook’s Notes: This makes a lot of pretzel bites so feel free to cut this recipe in half. 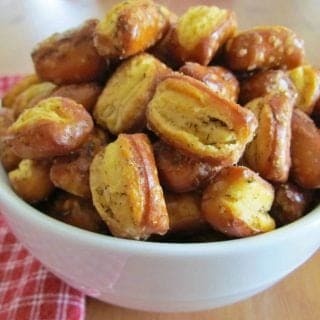 Place pretzels in a large roasting pan. Stir really well. Make sure all your pretzels get thoroughly coated. Bake pretzels for an hour making sure to stir every 20 minutes. 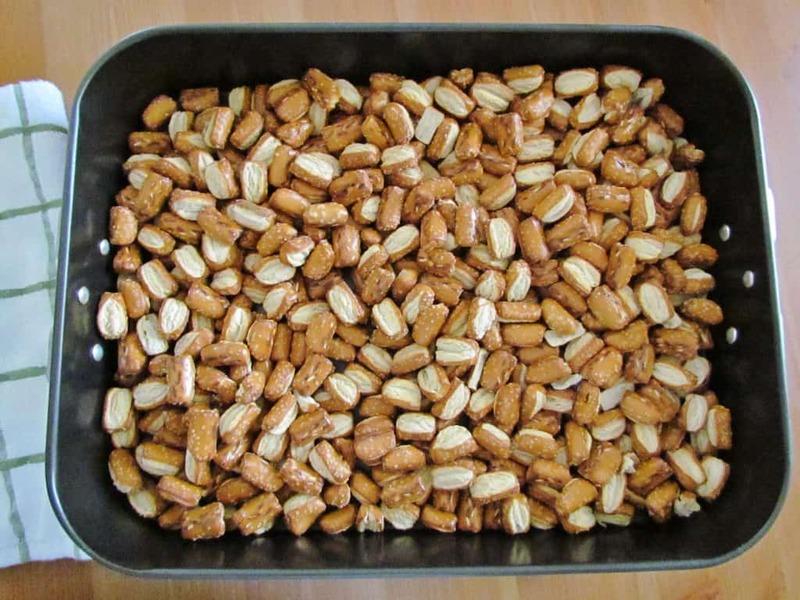 Once finished, allow them to cool and then store in an airtight container or a couple of big Ziploc bags. 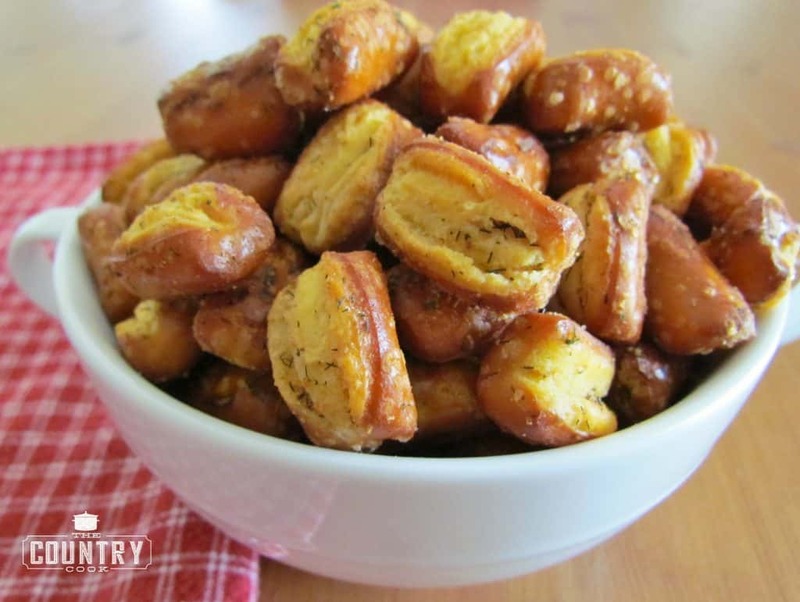 My family would love to have these to snack on during the football games! I have made this for many years using oyster crackers instad of pretzels. I know that I'm coming in a little late here, but I wanted to tell you how amazing these are! They're not hard to make and the end result is delicious, so it's a win-win. I have tried several of your recipes with much success and this one was no different. Thank you for sharing things like this, I looked like the Queen of the Kitchen for a day. You do a beautiful job here, keep up the good work.